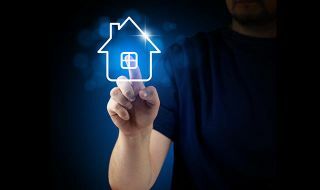 Convergence 4.0: Who will be the first to make the connected home a reality? As established technology manufacturers compete against smaller, yet more agile, counterparts, who will win convergence 4.0? The connected home is something we’re hearing more and more about. While in theory, it sounds like a great idea, in reality, there is still a lot of work to be done before it reaches its full potential. This is something manufacturers are only too aware of and the race is on to be the first to fully converge smart devices and edge closer to the integrated smart home. As established technology manufacturers compete against smaller, yet more agile, counterparts, who will win convergence 4.0? The remote control was one of the first devices to find its way into our homes. Now, as our homes become smarter and our TVs become the portal connecting all the devices that help support our day-to-day lives, this humble device could be given a new lease of life. The remote control has been a key component in the move to convergence so far, with technology in this field developing to allow for interaction with multiple devices and a better user experience. Gone are the days when changing a channel meant pointing the remote control directly at the television and lining it up precisely. In fact, changing channels is now just one of the functions remote controls perform. With more smart devices appearing in the home, you might think consumers would welcome convergence. Yet, in reality, many consumers are currently turned off by the idea due to the difficulties they face when configuring and setting up smart devices. For the average person, configuring multiple devices can seem daunting and like it may require some engineering know-how, deterring consumers from buying new devices or attempting to integrate them. Difficulties with configuring, discovering and controlling devices are among the biggest pain points for consumers of smart devices and is something that needs to be considered in relation to convergence. For increased uptake, these pain points need to be addressed by manufacturers and industry leaders. It is vital for the end users that convergence and configuration is a frictionless and simple process. Users require intuitive devices which are capable of automatically recognising new devices and help the user to configure them. For example, when setting up a new television, it should automatically link to the correct speakers, remote control and even lighting. However, many of the key players within the industry are yet to offer devices capable of this. Should manufacturers, and the bigger market challengers such as Amazon and Google, want to attract audiences, the need for end-to-end solutions which simplify the process of migration to the smart home for the end user needs to be considered. For example, devices should offer simplistic, voice-based processes to increase ease of use. In addition to this, the winner of convergence 4.0 will produce devices which are capable of ‘learning’ set skills. These devices need to not only be intuitive in recognising other devices but must also intuit what a user requires when they perform certain commands. The remote control is a great example of this potential, providing users with a single device with which to perform synergised functions, controlling everything from the television to your home’s temperature, security and lighting. The next step in convergence would be for users to be able to ask their device to enter ‘movie mode’, for example, and for the device to not only play a movie but also draw the curtains and dim the lights. While there are a handful of manufacturers most of us will associate with smart home technology, many paid TV operators and telecommunication companies are turning their backs on these devices, thus creating space for some of the smaller brands to rise to the top. Not only are devices created by these big brands more expensive for paid TV operators to deploy, but they are also less adaptable for their needs. Conversely, by partnering up with smaller manufacturers to create bespoke solutions, paid TV operators can be in control of their own destiny and create their own eco-system on which they can build in the future. This is a fluidity that isn’t offered by larger branded devices where the roadmaps for convergence are already set out for them. Solutions developed with telcos and paid TV operators in mind also allow them to have more autonomy in their approach to the market, rather than following the trends as dictated by large manufacturers. This is a key issue in convergence as with paid TV operators on side, the smaller manufacturers have the potential to tap into different insights and develop new capabilities. According to a recent study, 1 in 6 adults in the US now owns a voice-activated smart speaker and 65 per cent say they wouldn’t want to go back to a life without these devices. This is a key indicator that the battle to win convergence 4.0 runs parallel in the fight for leadership in the voice-assistant market. As many smart devices make use of voice-control, the two issues are intrinsically linked. Much of the popularity of voice-control devices stems from their ease of use – with a simple command, users can be reminded about an event, listen to their favourite song or receive a news update. The seamless way in which voice-control allows users to do all of these things is something manufacturers of other smart devices must seek to replicate in their bid for convergence. Due to the barriers of configuration and integration, convergence appears to currently be driven primarily by the market in anticipation of the consumer’s needs and consumer demand is yet to catch up. However, the winner of convergence 4.0 will be the company that addresses these pain points and makes integration of smart devices into the home as easy and seamless as possible. While this might seem like a battle likely to be won by the big names that currently have a monopoly on the market, you could be surprised. They might be the underdog, but smaller manufacturers are in a good position to win this race. Thanks to a more insightful view of the needs of both the user and telecommunication companies, these brands could be in a more able to tailor their offerings more precisely to suit the users’ needs.